Tracing your family back to the ‘old country’ can be fun and rewarding. You may learn what town that were from, what their occupation was, where they lived in relation to other family members, the church they attended, and more. It’s not always the easiest process in the world (pun intended). It can even be a real impossibility. Genealogy isn’t always about certainties. I can’t always prove everything I want to be true, or think to be true. One of those many things currently is where my 3rd great grandfather Michael Lowry was from in Ireland. I have several documents that state he was born in Ireland. Every available census record from 1860 through 1920 says ‘Ireland’ as his place of birth. I have a death certificate which reads the same. Thanks to the 1920 Census, I’m likewise fairly certain that he emigrated from Ireland around 1849, when he was 20 years old. That, however, is where my research has thus far ended. 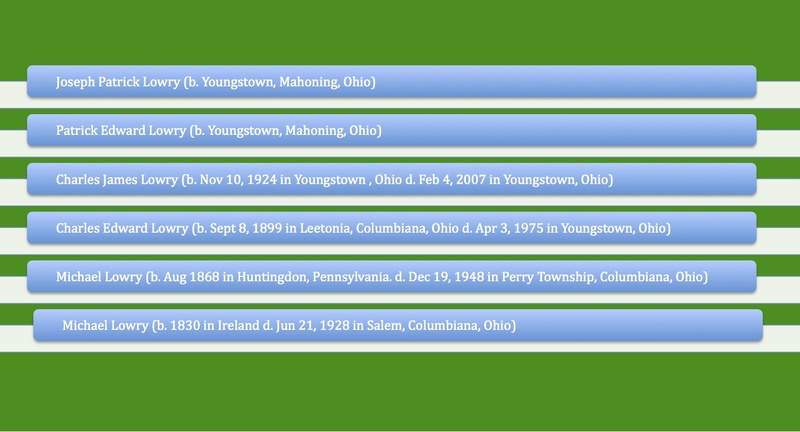 In genealogy, the normal method of tracking ancestors is to work backwards through time. Once you hit a brick wall, it’s nearly impossible to know what exactly is on the other side. For 3rd great grandpa Mike, my first step should be to figure out when and where he entered the United States. The 1920 Census, from 71 years after his supposed arrival, is not the surest document to determine those specifics. It would be more helpful if I could find naturalization papers or helpful arrival records, but the luck of the Irish has not yet been on my side. One of the challenges is not a lack of a ‘Michael Lowry’ in these records, but too many. Learning enough about Mike that I can figure out which one is actually him is the challenge. 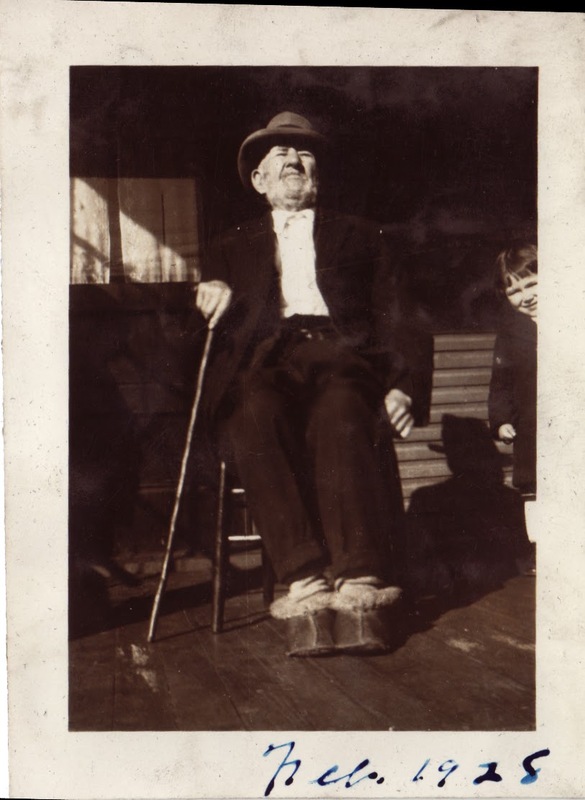 My 98-year old 3rd great grandpa Michael Lowry in 1928. He died about 4 months after this photo was taken. That said, it’s not hard to imagine the life that Michael left behind, even if I don’t have the details. 1849 was the height of the Great Famine in Ireland, when a million men, women and children left the old sod looking for a new life in America, England, and Australia because they could no longer survive in a country being crushed by England. England demanded that all Irish foodstuffs, except for the potato, be exported. “Paddy’s Lament’ by Thomas Gallagher paints an incredibly bleak and heart-wrenching picture of Ireland in the late 1840’s. It’s clear that there was no other option for Mike but to leave his home aboard a ‘famine ship’ and have hope of starting over in a new world. Did he travel alone? Did he travel with siblings or parents and if so, did they survive the journey and establish families here? Perhaps some of the other Lowry’s I’ve met over the years are in fact cousins. Not in the sense that we are all cousins, because we share a last name, but traceable cousins with a known common ancestor. Only time and more research will tell. Fortunately, I have no plans to give up the hunt. ← Wordless Wednesday – Aim High!